Bethesda Softworks has just released a new gameplay trailer for their upcoming action/stealth title Dishonored 2, focusing on skills at Emily and Corvo’s disposal. This new gameplay trailer video on a few distinctive combination of skills between the two protagonists. Emily Kaldwin’s skill set seems more geared for a creative style of subterfuge and linking together different skills into unexpected ways. Corvo, protagonist from the first Dishonored, retains more of a straightforward approach to combat although both characters’ skills can be tweaked around for a dynamic playstyle. Dishonored 2 is the highly anticipated sequel to 2012’s hit Dishonored by Lyon based Arkane Studios. 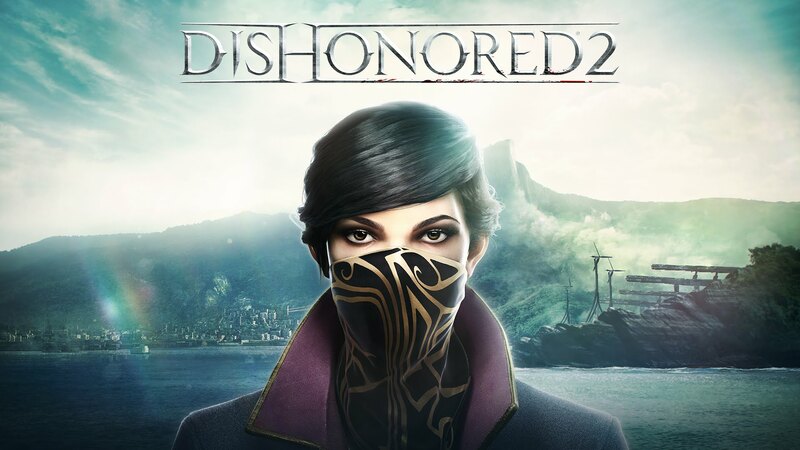 Set fifteen years after the events narrated in the first game, it will let players choose between Empress Emily Kaldwin and her father Corvo Attano as the protagonist. In both cases, though, the ultimate goal will be to reclaim the usurped throne. To do so, Corvo or Emily will have to travel all the way to Karnaca, the capital of Serkonos, the southernmost isle of the Empire. Interestingly, while today’s video is called Creative Kills Dishonored 2 actually allows players to complete the whole game without taking a single life: there will be specific non-lethal takedowns for that purpose. Killing too many non-player characters (NPCs) will be recognized by the Chaos system and reflected in the game world by an increased amount of bloodflies, flying parasitic insects that hatch in dead corpses. You’ll be able to learn who’s worth killing by interacting with the Heart, which is now more reliable than in the previous game. Dishonored 2 won’t be an open world, but there will be large levels with few loading times. The developers were aiming for a longevity of 12-20 hours, but recent playtests indicate that it will be a little longer on average, sitting at 16-20 hours instead. The game will be out on November 11th, 2016 worldwide for Pc, PlayStation 4 and Xbox One.